Yacht racing and rally organises now have a very cost effective way to provide a public race map. Families, friends and the media can follow along with the action, including replays, boat and crew bio's with hero photos. Through the Blue Water Tracks portal, race and rally organiser have a full management dashboard that enables them to quick setup and easily control every aspect of the tracked progress along with the public map showing leaderboards and race statistics. Race organisers have full control over every detail. Boat owners can adminster their boats and crews. Crew can login and manage their detail. Streamlining and simplifying the whole administration process. Once the the race is set up, Blue Water Tracks will collect the positions and vector data from each tracker and display the boats progress through the live public race page. The Blue Water Tracks service is provided free of charge to yacht racing organisations. The service is funded by the philanthropy of the Dunoon Family Trust to ensure the highest level of infrastructure and service quality. 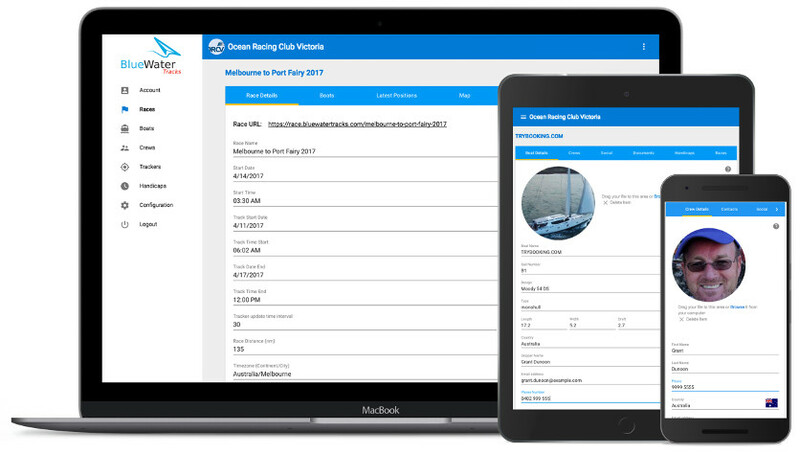 Significant resource has been made available in the development of this service, ensuring that every race organiser has the tools needed for an effortless race tracking experience that enhances safety for all competitors. 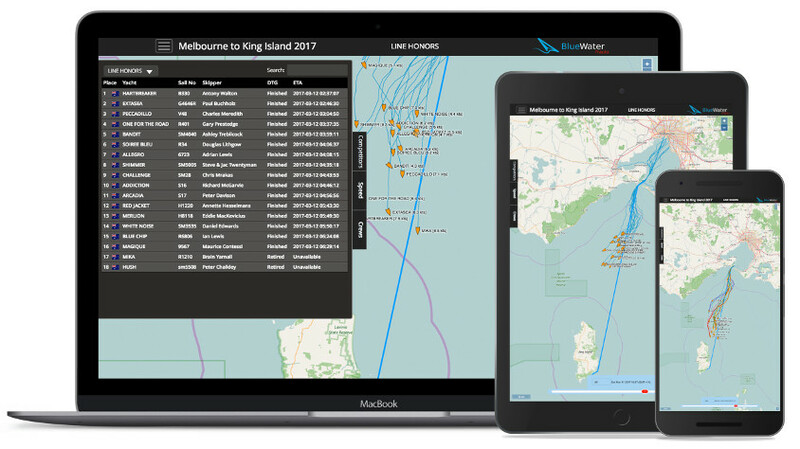 Grant Dunoon founded Blue Water Tracks to deliver a service to yacht racing organisation and at the same time make safety affordable for every competitor. 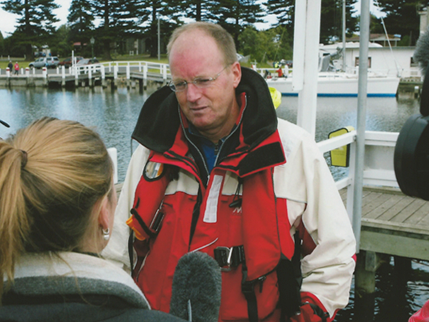 In 2012 Grant was the skipper who rescued 6 crew when their yacht sank suddenly after the loss of their liferaft just before midnight during a devastating storm that wiped out the Melbourne to Port Fairy yacht race. Read more about it here. Grant has be honoured with the Queen's Group Bravery Award, Australian National Search and Rescue Council Award, Yachting Australia (Australian Sailing) SOLAS Trust Award, Yachting Victoria's President's Awards, Royal Bright Yacht Club's Commodore's Awards. “We have found the service to be very reliable and the management portal simple to use. 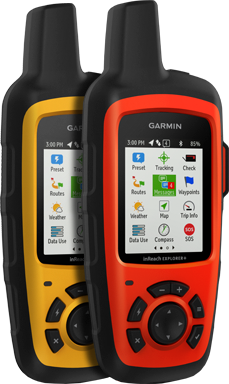 It has and is saving our club thousands of dollars each year and at the same time delivers an invaluable service to our members."